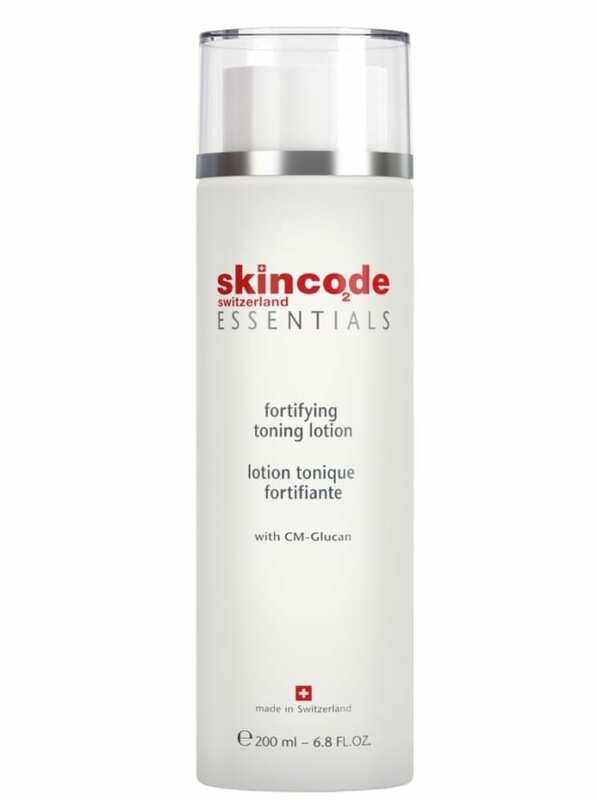 This fortifying toning lotion has a dual action, gently removing all traces of make-up and impurities and preparing the skin for follow-on treatments. It contains lactic acid to gently exfoliate the skin, shea butter for skin conditioning and hyaluronic acid for suppleness, elasticity and tone. Active ingredients: CM-Glucan, Shea butter, Lactic acid, Hyaluronic acid. Application: Morning and evening, after cleansing, moisten a cotton pad and sweep the pad over the entire face and neck until it comes away clean. Avoid contact with eyes. Follow with an appropriate Skincode treatment.